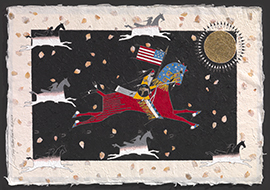 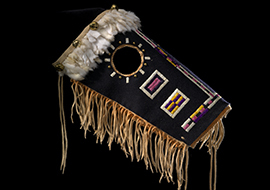 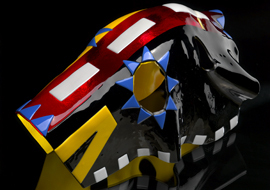 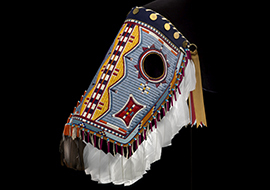 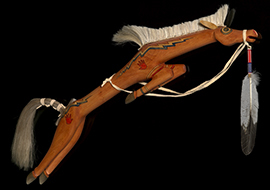 The Horse Nation Lives On | A Song for the Horse Nation - October 29, 2011 through January 7, 2013 - The National Museum of the American Indian - Washington, D.C.
For some Native peoples, the horse still is an essential part of daily life. 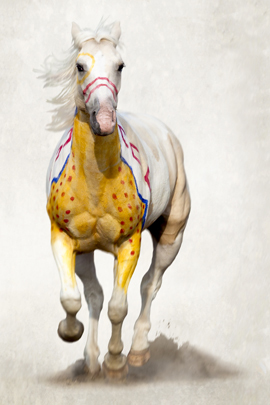 For others, the horse will always remain an element of our identity and our history. The Horse Nation continues to inspire, and Native artists continue to celebrate the horse in our songs, our stories, and our works of art. 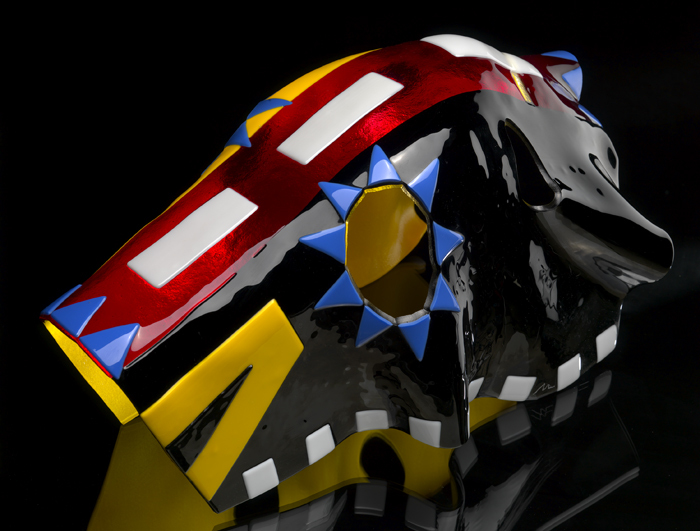 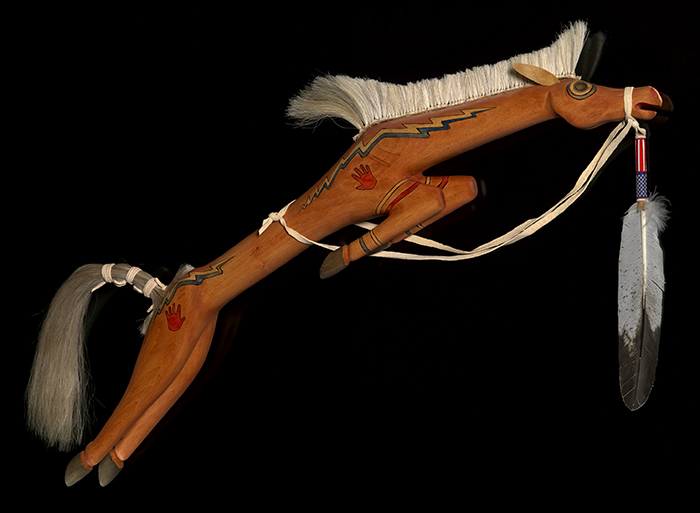 Crow War Pony–1, Fine Art Photography by Brady Willette; Pony painting by Kennard Real Bird (Crow). 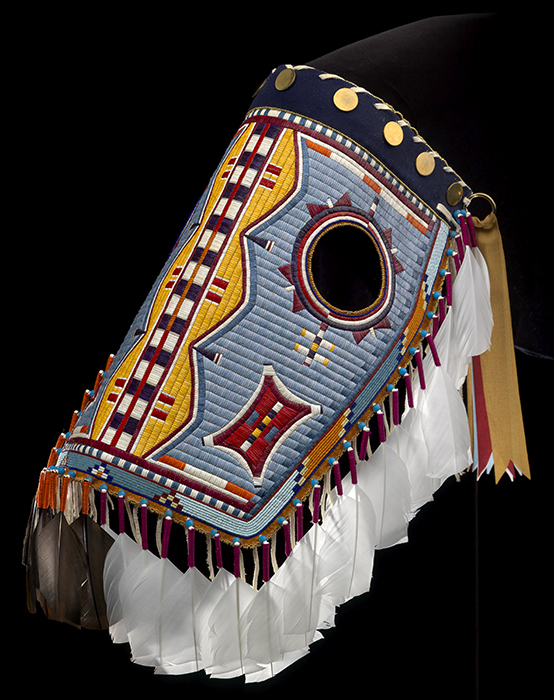 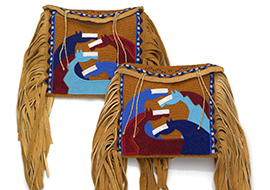 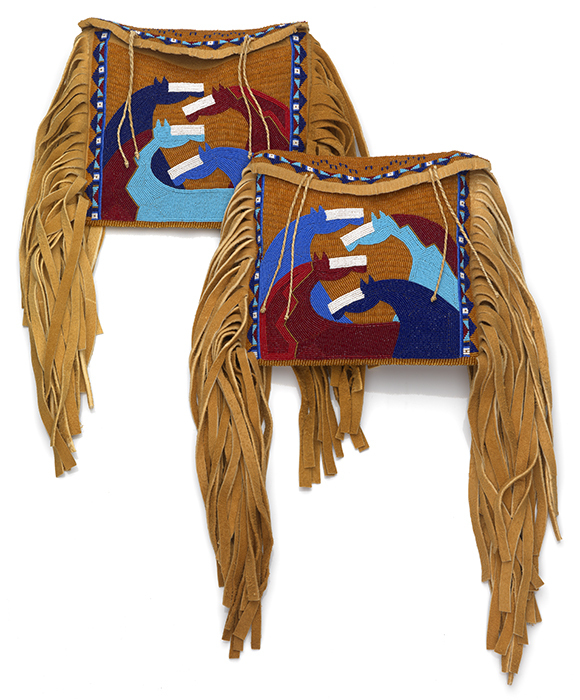 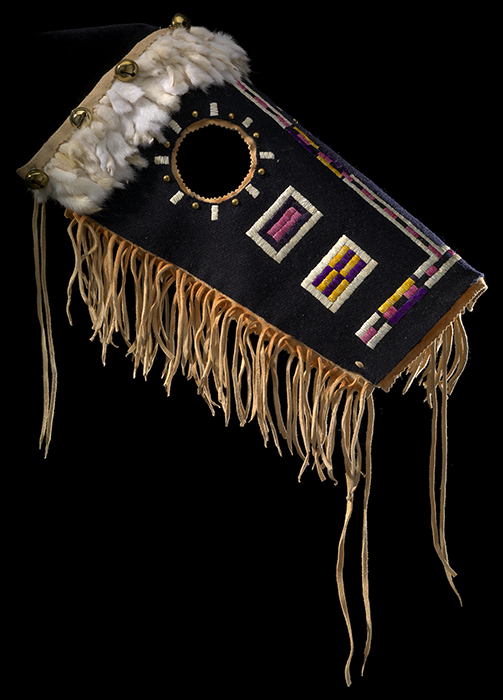 Collection of the National Museum of the American Indian. Then I turned around toward the east… I saw twelve head of horses, all sorrels.